Animal assisted therapy is a great way to get kids talking, moving and learning without them even knowing it. Your child is probably one of many who enjoy animals, especially puppies. Our “professional therapists” Macie and Samantha have helped many of our patients to overcome developmental issues with their cheerful smiles and fluffy coats. How do our “doggie therapists” help out around Baron Therapy? The first words some of our children have said were our canine friends’ names: Macie and Sammie. 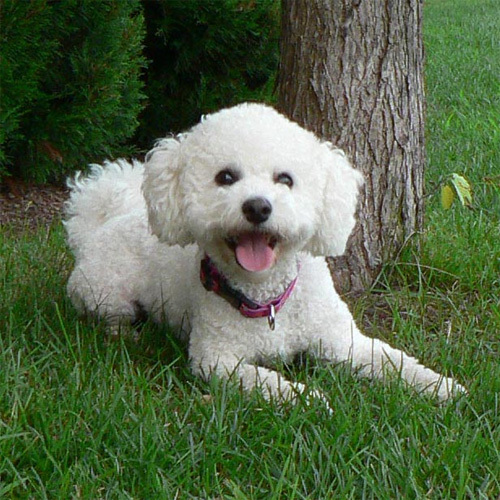 Their breed is Bichon Frise, which means “curly lap dog” in French. 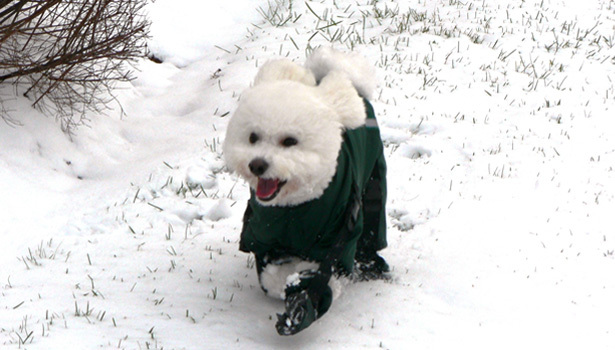 Their breed is often compared to a cotton ball due to their white fluffy coats. Most people are not allergic to this breed as their coat is a type of hair that does not shed. Our animal assisted therapy is just one of the fun, creative ways we help children grow and develop! Animal assisted therapy helps the children create a unique bond, allowing them greater freedom to explore their feelings and new experiences, harnessing the wonderful healing power of an animal-human bond.